The cartoon has long since been lost but still I carry that saying in my heart. This wee cake is a smashing accompanient to a good, strong cuppa. As a young lass, I remember happily scoffing down hot toast slathered with butter and liberally sprinkled with cinnamon and sugar. This tea cake replicates the aromas and tastes of that very same warming little snackle. This recipe was passed on by a friend and I have tinkered with it (just a little) to provide a gluten free version for the good ole Yak. Why use sorghum flour? Firstly, it is gluten free and my brief research shows it is high in protein, iron and dietary fibre. The starch and protein in sorghum take longer than other similar products to digest. Unlike rice flours, it isn’t gritty and helps to add a smoother texture to baked goods. This is always a wondrous thing when baking GF. I used the Bob’s Red Mill ‘sweet’ white sorghum flour but I also read that it can be purchased from Indian stores labelled as Jawar Atta. Just make sure it’s truly gluten free before purchasing it. A quick mention of Xanthum gum, a product made from fermented corn sugar. I generally don’t use it a lot but it’s used in GF cooking as an emulsifier and thickener. You don’t need much, just a tad. I trialled the first recipe without it then used it on the 2nd attempt. It did make for a more spongy and cake like consistency. 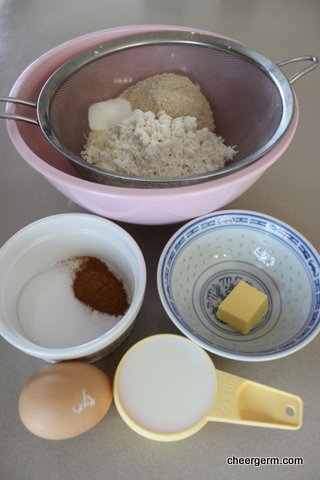 For those of you who would like to use regular flour, I have provided the ingredients (see below). The method is still the same. 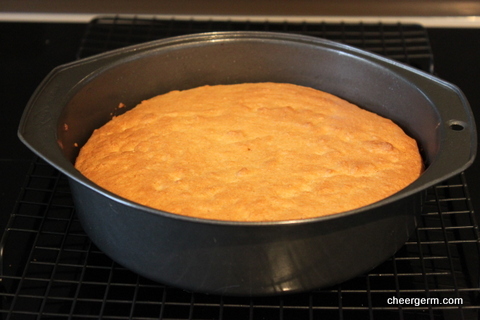 Grease and line a 20cm round cake pan. 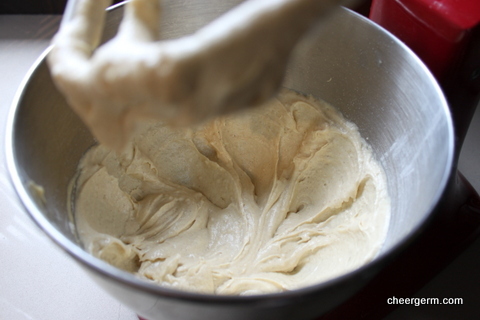 Sift the plain flour, sorghum flour, baking powder, xanthum gum and salt into a bowl. 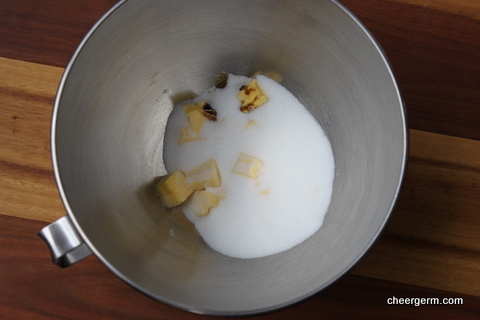 Beat the butter, extract, sugar and egg in a bowl until light and fluffy. Spread mixture into tin (it’s quite thick) and bake for 25-30 minutes until it springs back to the touch. Stand 5 minutes in tin, turn onto rack. Brush cake with melted butter sprinkle with cinnamon and sugar mixture. The topping and method is exactly the same as the gluten free version. Enjoy! This entry was posted in Gluten free baking and desserts and tagged baking, cinnamon, cinnamon tea cake, Cooking, gluten free, recipes, sorghum flour, tea cake. Bookmark the permalink. Ohhhh the memories of buttered toast with cinnamon yummm ! This cake sounds totally delicious !! I still sprinkle my toast with cinnamon sugar! I love this tea cake. Reminds me of traditional Moravian sugar cakes made in eastern Pennsylvania where I grew up. Yum .. I must try this, but I think with wheat flour, and also dig out a recipe for Moravian sugar cake to compare. Fantastic! The smells just brings you back to childhood hey? I would love to see how it compares to a Moravian sugar cake! Cinnamon sugar on toast = childhood. It’s the ultimate in comfort food. 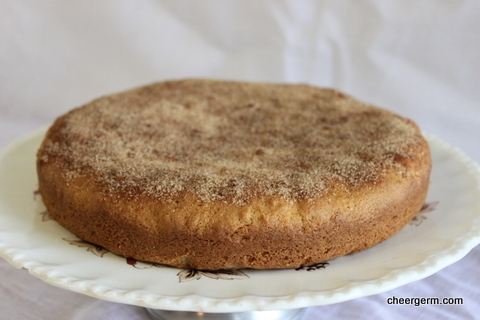 Will try to work up the Moravia sugar cake soon for a post. 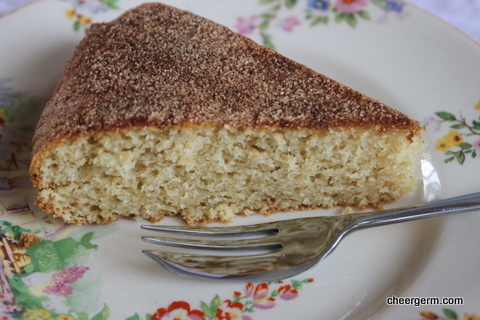 This looks delicious- I love cinnamon in cakes! Thanks, it was delish. The smell of cinnamon often has lots of memories attached for many of us hey?